Peta started riding side saddle when she found an old side saddle in the tack room at Pittern Hill. 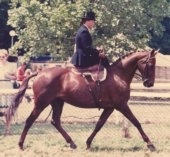 She started on an ex show jumper, and then progressed to riding `Commander`, the horse with which she won `Side Saddle Rider of the Year` three times. She is the only person to have won the title three times in succession. One November she took on a rather wild and un-schooled cob and won Side Saddle Rider of the Year on him the following August. She rode `Woodcote Patrick` at the British Horse and Rider Show, in the side saddle high jump competition, and jumped 4ft 11ins. She has hunted side saddle with several packs, and won the SSA's Performance Points Championship. 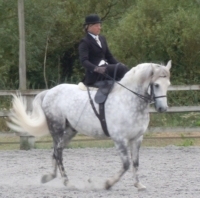 She has showed hacks, cobs, riding horses and hunters side saddle with great success. 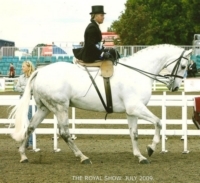 She has trained numerous National Champions, both junior and senior, and also trained her daughter Georgie and `Farmbrook Quince`, who represented Great Britain at the international Side Saddle Show at Le Lion D'Angers and won a class. Georgie also won the SSA Performance Points Championship twice on Farmbrook Quince, and has been Junior Novice Side Saddle Rider of the Year, and runner up for Junior Side Saddle Rider of the year, riding `Traveena's Baby's Baby`. 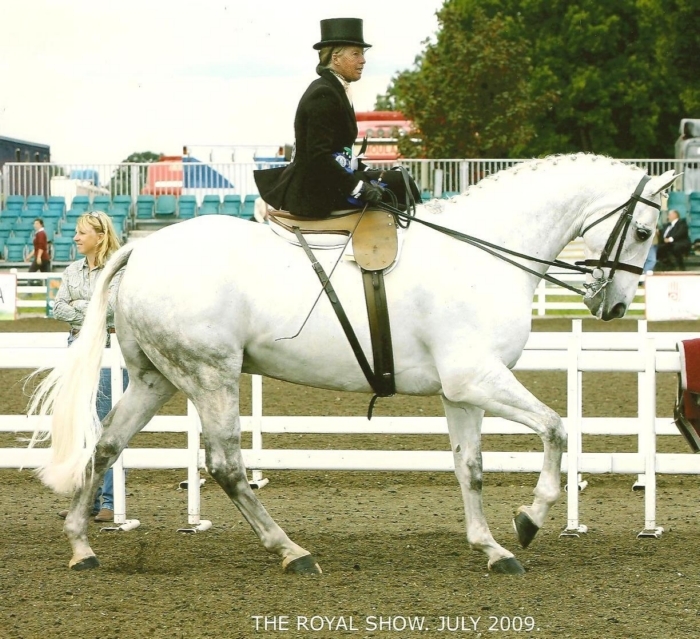 Peta is a SSA judge, instructor and examiner, and will bring her own saddles out to try on horses that have never carried a side saddle. She will help riders to get their horses going, teach any level of rider, give help and advice on turnout, preparation for shows, and give help at shows when required. She will ride horses in the ring if requested.